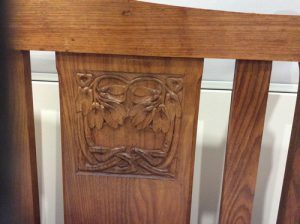 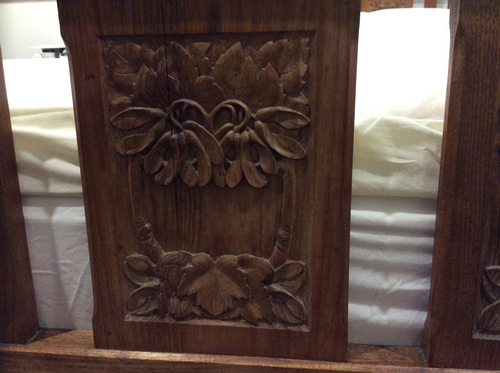 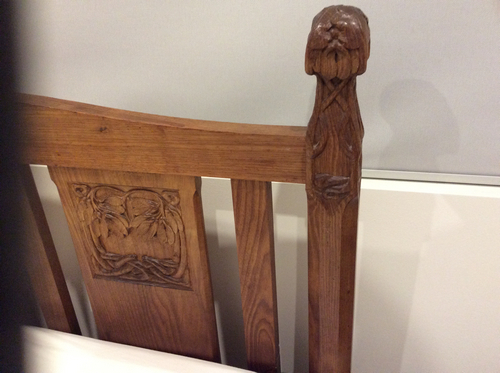 Close up bed carved date. 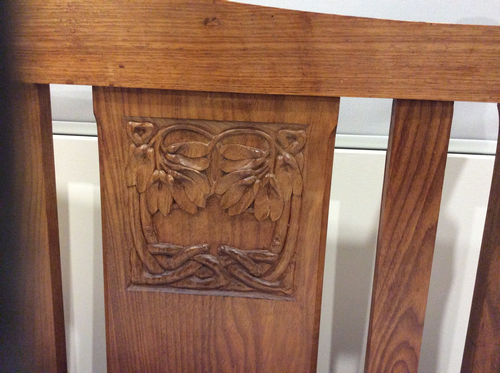 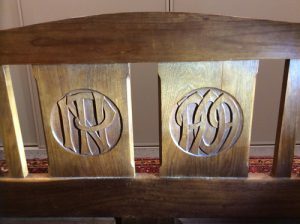 Close up carvings at head of bed. 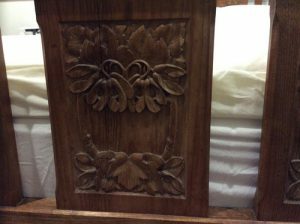 Close up carvings at foot of bed. 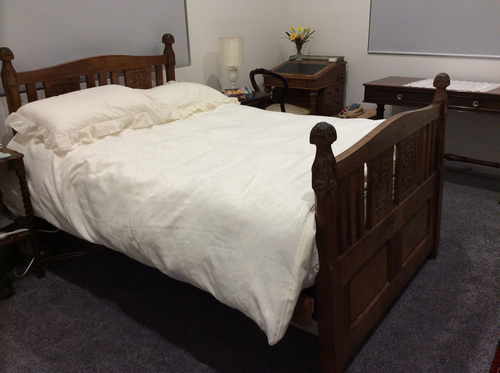 It was only a couple of weeks before the exhibition in 2015 that we found out that Nellie had carved her own bed. Through a bit of luck and detective work it was located at Bagdad, Tasmania – still being used by the friends of Madge’s whom had been given the bed after her death. 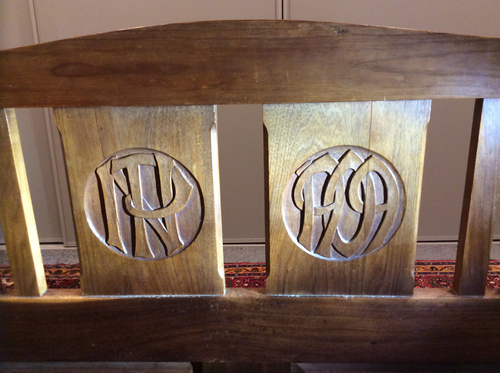 We thank them for allowing us to pull their bed apart to get a photo of the date on the inside of the bed footer.